We are out and out foodies. We have over 60 years' experience across multiple food categories from quick serves to fine dining and everything in between. Our team of experts can offer you innovation, flair and general business know how to help grow your sales, profit and customer satisfaction. Our extensive industry knowledge and attention to detail means we help your business stand out from the crowd. We have a proven track record with clients and projects around the world. With experience working with pubs, restaurants and the leisure and tourism sector, we understand the challenges that food businesses face and how to overcome them. From concept creation and strategy, through to kitchen design, menu development and food marketing, we offer complete and bespoke solutions to cater for your needs. If you want to grow your food business, you've come to the right place. We're a team of foodies with over 60 years' combined experience in the industry. Results-driven, friendly and passionate about what we do, our talented team are here to evolve your food and beverage business. We are dedicated to delivering consistently outstanding service to our clients enabling them to grow their business through our unique blend of skills and services. From creating workable food philosophies to aligning stakeholders within large companies to a common goal, we cover all strategic angles to make your future plans live and breathe within your business. Regardless of your business size, our food consultants will work with you to create a new strategy or evolve an existing one, ensuring it will work both operationally and financially. Working to your brief we create concepts from scratch or refresh existing ones, taking into consideration your customer, product and consumer trends. We help you create and project manage innovative food concepts from the idea stage through to opening. We work from an initial design brief, then assess its feasibility. We will ensure everything is agreed, from the final product and service to the sales and marketing. We provide kitchen layouts and plan the front of house space within your business's objectives, customer demographic and best use of space to ensure ease of usage. Design and layout is crucial to any food business, whether it's brand new or just requiring a refresh. We use our extensive operational know-how and consider our layouts from the customer's perspective to ensure the best experience for both customers and staff. Whether you need your current food proposition reviewed, suggestions on a redesign, or support on pricing and management of margins, our team love developing menus. A great menu forms the basis for any successful food business. From the quality of the base ingredients to its design and ease of operational delivery. These elements underpin our approach when developing any menu. From external signage to quick service menu boards, table menus, brand repositioning or sales driving promotions, we ensure all your marketing collateral is tailored to meet the needs of your overall proposition to increase sales. Marketing is essential to the success of any business. With over 20 years' experience of food marketing across all sectors of the industry, from quick serves to fine dining and everything in between, we are confident that we can add sales and profit to any food & beverage business. Our clients range from international organisations to local businesses. 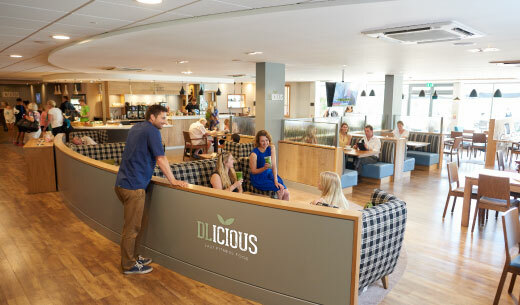 We worked with David Lloyd to evolve their food and beverage approach and execution, increasing footfall and dwell time in their clubs. 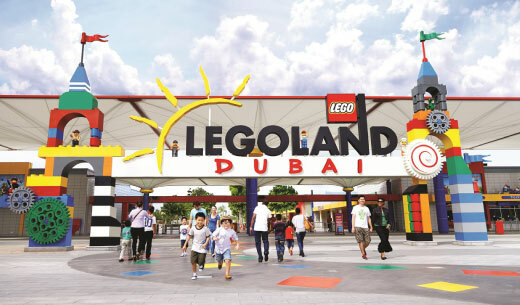 Merlin Entertainment approached us to deliver an innovative range of LEGOLAND propositions, including quick serves and full-service restaurants. 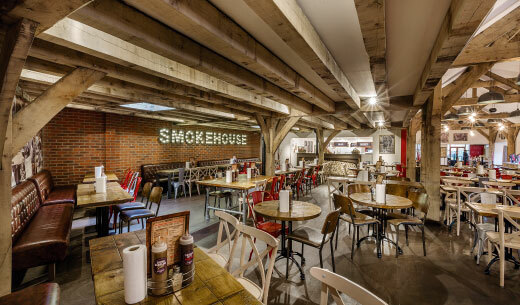 We created an on trend concept and design with Smokehouse BBQ, to service demand in good time and increase capacity. 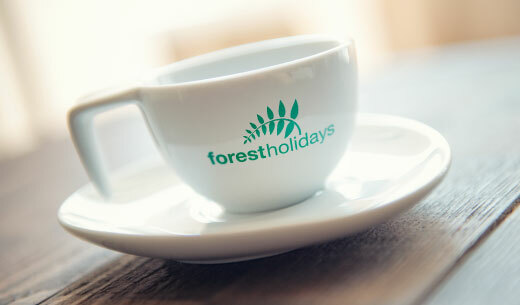 Tasked with increasing sales, profit and customer satisfaction, we worked with Forest Holidays to update their food proposition, design and layout. 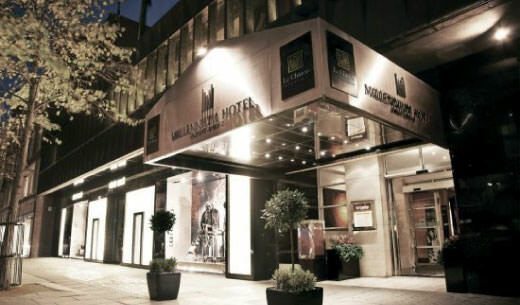 We're thrilled to be working with Millennium Hotels, who boast a unique range of properties tailored to their location, to improve their food and beverage proposition. 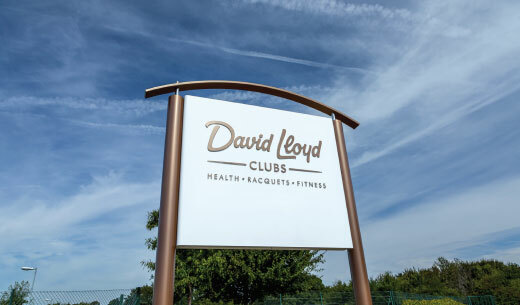 We are delighted our contract with David Lloyd has been extended for another year as we launch their spring and summer menu and begin work on their autumn menu. Register and you'll receive a newsletter peppered with advice, industry updates and our latest projects. We embarked on a radical change to our food offering and enlisted the help of Peppercorn Food Solutions. As with all good projects, we gave tough deadlines and pushed the boundaries of what we could do versus what was possible. With great enthusiasm, friendliness and professionalism, Lee and his team guided us through the learning’s necessary to ensure we came up with the right solution for our business. Project and training was delivered on time and with no end of patience, teaching an existing team new skills and ways of working. I’m positive we will utilise the skills of this team again. We have been delighted with the work done to date by the team at Peppercorn. Their attention to detail and industry knowledge make them stand out from the crowd. We have been particularly impressed by their passion on the projects we have worked with them on. – Lee Personius, Managing Director, TuGo Food Systems Ltd.